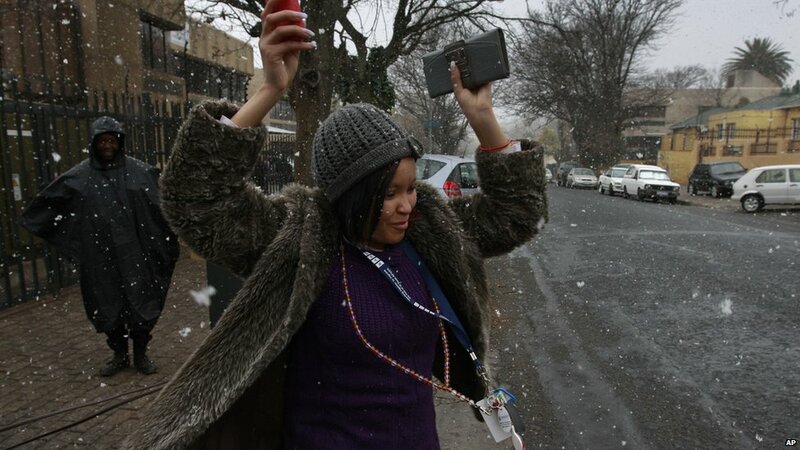 Rare snow fell in and around South Africa's city of Johannesburg on Tuesday. It began snowing in the morning and flurries continued all day. Some said they had never seen snow before. "Amazing. Never happened in my life," security guard Mizundile Eseu, 23, told the AFP news agency. Southern areas were hit first and then it swept into the centre of the city where workers rushed out to see the growing white carpet. 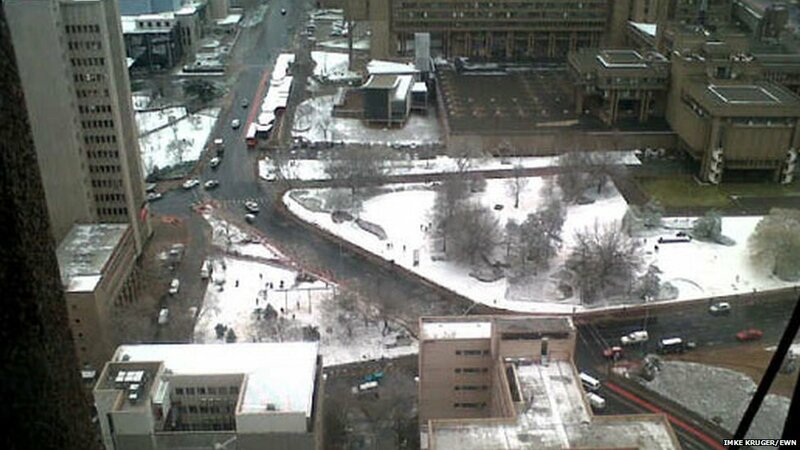 "I can confirm that there is absolutely no work taking place at the M&G right now due to the excitement over the snow," the paper's publisher Trevor Ncube tweeted. 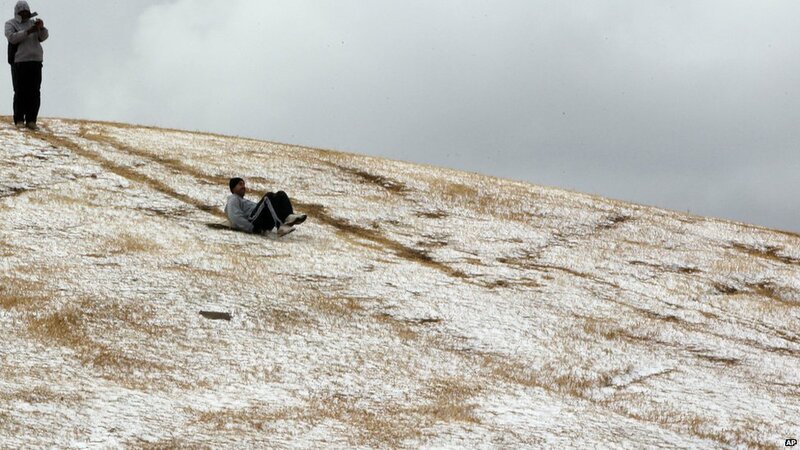 Other residents wrapped up and went out to trying sledging - one man used a cardboard box as an improvised toboggan. 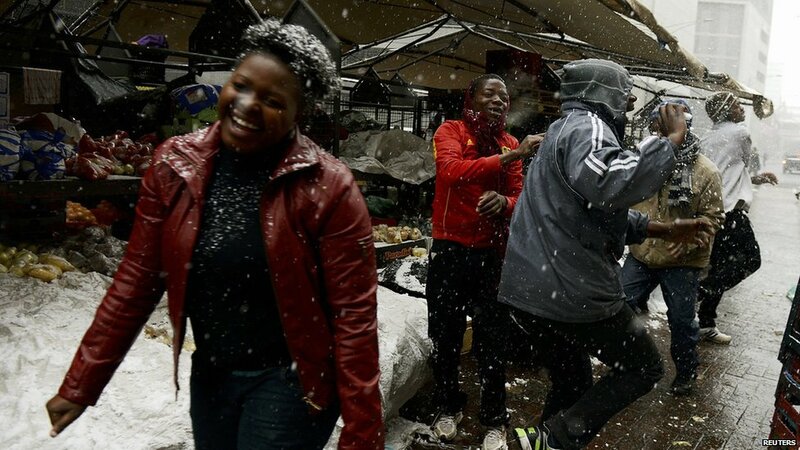 According to South African Weather Service records, it has only snowed in Johannesburg on 22 other days in the last 103 years, AP news agency reports. The last snow fell in the city in June 2007 and before that in September 1981. The snow grew heavier in the afternoon. 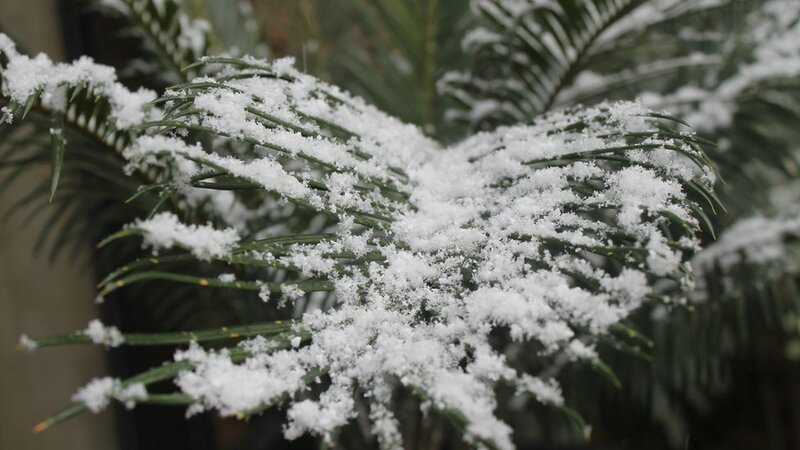 "Locals can expect the light snow to continue until Wednesday morning," South Africa's Times newspaper quotes forecaster Jacqueline Riet as saying. 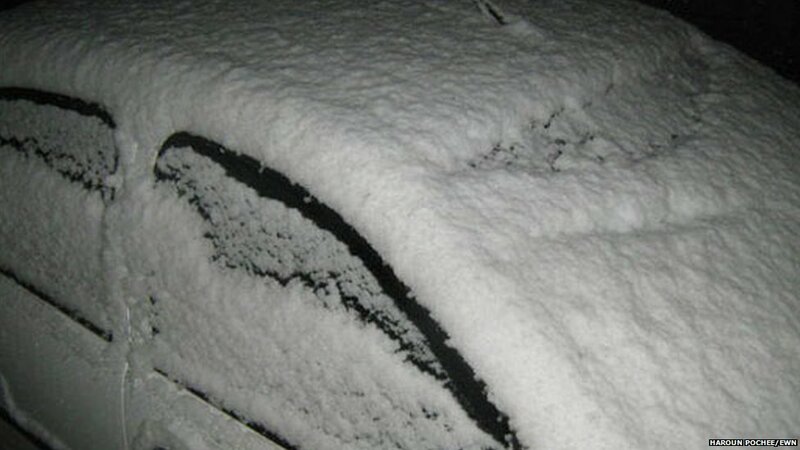 Officials urged motorists to take care on the roads. Eyewitness News reported that there was also a power cut to the west of the city. “It is a very large power failure. We have dispatched technicians to determine the cause,” a Johannesburg City Power spokesperson said. Someone uploaded photos of animals, including a lion, surrounded by falling snow to Johannesburg Zoo’s Facebook page. 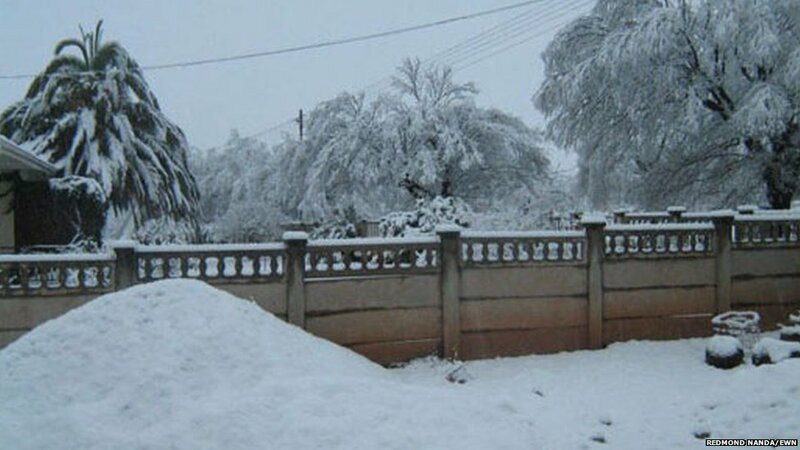 Snow does fall annually in the mountains of South Africa and Lesotho, which has a ski resort. 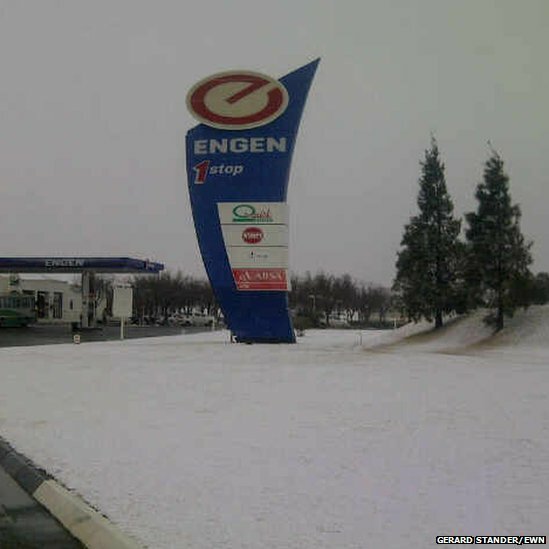 On Tuesday, six of South Africa's nine provinces had some snow. "If snow has taught me anything, it's that I follow too many people from Johannesburg," Denver @4thWiseMan, a Cape Town resident, tweeted.